There’s something for everyone at Port Orleans Riverside- a moderately priced Disney resort with rustic retreats and elegant mansions. This resort has a charming swimming pool with slide as well as five quiet pools, a stocked fishing hole, a sit-down restaurant as well as a food court, all set along the Sassagoula River. Bring your Mark Twain novel of choice, and settle in. Disney’s Port Orleans Riverside Resort is modeled after a Louisiana town along the Mississipi River, with plantation-style ‘mansions’ and bayou-themed guesthouses. Disney’s Port Orleans Riverside Resort, like all Disney resorts, is smoke-free. Designated outdoor smoking areas are indicated on the Resort Map. Check our Rehabs and Closures schedule for any possible refurbishments or work taking place at the Port Orleans Riverside Resort during your visit. The resort’s 2048 rooms are divided between the elegant mansions of Magnolia Bend and the more rustic Alligator Bayou section. Magnolia Bend has four three-story plantation-style buildings, perfect for Gone with the Wind fans. Many room of the more intimate two-story faux-log guesthouses of Alligator Bayou have pull-down beds, allowing families of five to comfortably stay in one room. Water View rooms have views of the Sassagoula River or the pools. Standard View rooms look out onto the resort grounds. Most rooms have two queen beds. A limited number of rooms with king-size beds are available. Valet dry cleaning and laundry service is available for pickup from your room. Coin-operated self-service laundry facilities are located throughout Disney’s Port Orleans Resort – Riverside. Located at the Main Lobby in Colonel’s Cotton Mill building, the concierge can help you purchase Disney Theme Park and Disney Water Park tickets, make dining reservations and secure show seats. Royal Guest Rooms have opened in the Magnolia Bend section at Port Orleans Riverside (Oak Manor and Parterre Place buildings). Rooms include ornate beds that feature headboards with fiber-optic special effects, and gold and crystal accents. Guests also can enjoy artwork and special mementos left by Tiana’s royal friends and watch “fireworks” swirl as they recline in ornate beds, curl up in custom linens and more. It is majesty and fun, rolled into one. Each of the 512 Royal Guest Rooms sleeps up to four guests in two queen beds. View our Royal Guest Rooms Photo Gallery. Boatwright’s Dining Hall along the riverfront for home-style favorites in a table service setting. Riverside Mill Food Court for quick service dining options. Refillable mugs are available for purchase at the Riverside Mill Food Court. Check out the monthly resort poolside activities here! Fulton’s stocks Disney character apparel and souvenirs as well as Port Orleans logo merchandise. You can also find snack foods, beverages (including adult beverages), magazines and books, and other general sundries. Disney’s bus service is available to and from this resort. There are four bus stops, located at the guest services building and around the resort perimeter. There is bus and boat transportation to Disney Springs. The boat launch is located at Dixie Levee marina. No on-site child care facility. In-room child care is available at all resorts. There are also child activity centers are located in the Wilderness Lodge, Animal Kingdom Lodge, the Polynesian Village Resort, the Beach Club Resort and at the Disney World Dolphin hotel. These services are available to all on-site guests and you do not need to be staying at one of these resorts to utilize the service. My family of five has stayed at Port Orleans Riverside and we love it! The murphy bed is so cute! But it does have a drawback…there are not many drawers or places to put your luggage in those rooms for five. My suggestion: bring hangers. There was no luggage rack and only a few hangers, three small drawers, and some open space in the sink and nightstand area. Also, consider bringing a pop-up hamper that folds flat for your dirty clothes so you won’t have to play musical suitcases to dig for your clothes every morning. The quiet pools at Port Orleans Riverside are nice, especially when the main pool is crowded. There are boats from Port Orleans Riverside to Disney Springs. In addition to being a convenient form of transportation, it is a scenic boat ride especially in the evening. The Royal Guest Rooms are a nice upgrade and nicely themed. There are so many little details in these rooms. From the faucets shaped like Aladdin’s lamp to the note from Princess Tiana on the table, these rooms are super themed. Plus you get the fireworks in the headboard. YeHaa Bob Jackson at River Roost Lounge at Port Orleans Riverside is very entertaining; the later show is a bit racier. Cane pole fishing is available at Port Orleans Riverside. Preferred rooms are assigned to the Alligator Bayou section of the resort. Be sure to enjoy the atmosphere after dark; it’s lit and really does feel like you are “there.” Also the boat ride after dark is a nice option when things aren’t too busy. There is a walkway between the two Port Orleans resorts (Riverside and French Quarter). You can pool hop between the two resorts’ main pools. Check the resort map. Your closest bus stop may be behind your outer building vs. walking to the main building. While room requests are not guaranteed, ask for a corner room. The extra window brings in more sunlight and appears more spacious. 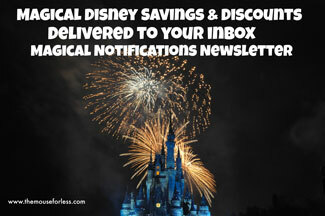 Subscribe to our newsletter, Magical Notifications, and receive our weekly email alerts about special money saving promotions to Disney destinations and Universal Orlando Resort.